Asking the right question(s) for the situation at hand is an important thing to do. It can change the whole direction of what you are dealing with in your marriage. Some questions you can ask will draw you closer together. But others can push you further apart. It’s important to build communication bridges, rather than building walls. Mutually walking together with God and each other should be your goal. 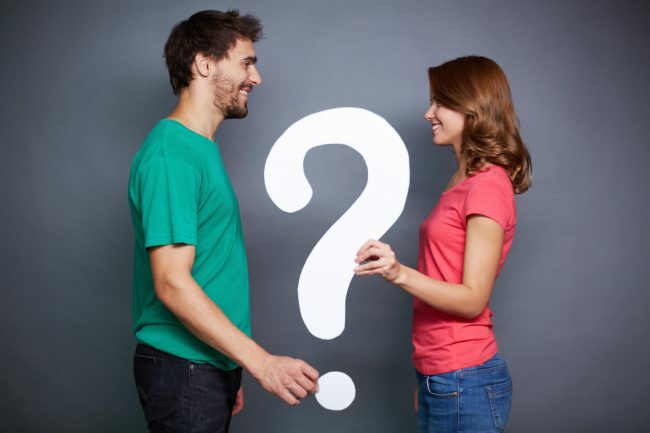 But the questions we are addressing in this Marriage Insight are 3 different kinds that could help you to build your communication bridges to draw you closer to each other. They encompass investing, connecting and self-reflective questions. The first group of questions concerns what we wrote about last week. They are questions that can help you to INVEST in your marriage. Keep in mind what Dr Steve Stephens says. Make it a point to invest in your marriage more than in other things and people. It’s a VERY important thing you promised to do. We hope you will take advantage of asking these questions to each other. They are the “Right Questions” to help you grow and invest in your relationship. Did anything positive or exciting happen to you today? Was there something that made you sad or disappointed? Is there something NEW that God showed you? • HOW WELL DO YOU ENCOURAGE HONESTY? That’s the kind of kissing we hope you will encourage. It’s one that we hope you will get from your spouse as you encourage honesty. We need to LEARN to ask the “right” questions at the right time. If we’re sincere in wanting to grow our marriages into great ones, this is an important skill to develop. We hope you will.